Who knows if they are still there, but last night I saw these on the bench in front of the barber shop on the square in Metamora. 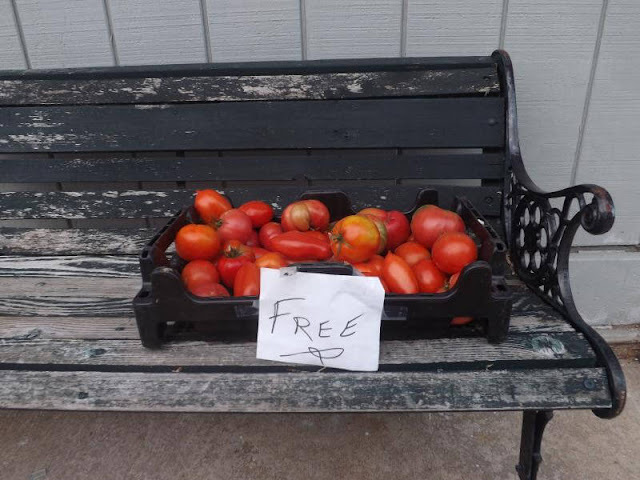 Free tomatoes! 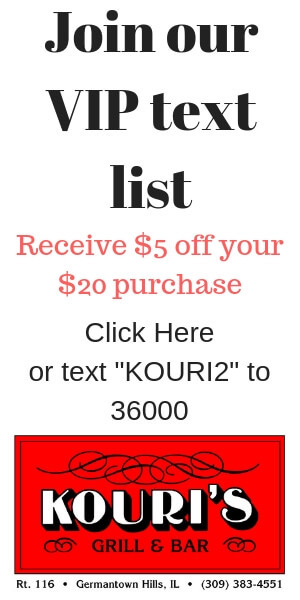 Get'em while you can. Salsa, BLT's, and more. What do you do with the plethora of tomatoes available this time of year? Seems we always have a few on our counter. Here is a link to a roasted tomato salsa recipe that I know you will love. Roasting veggies makes them so much better. We like to roast them for chili recipes too.